Revolutionary Road by Richard Yates is one of the most "real" novels I've ever read. It perfectly captures Frank and April Wheeler's frustration and discontent with suburban lifestyle. 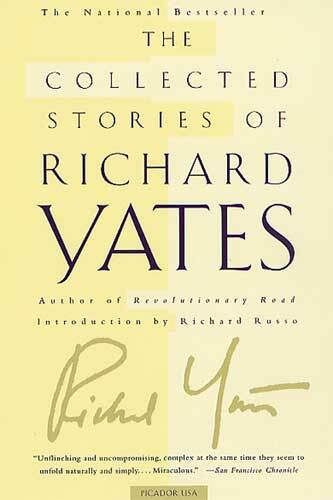 Last weekend, while browsing at Strand Bookstore, I came across The Collected Stories of Richard Yates and wondered if the author could convey the same intensity in short works. I had to buy it and find out. "All Miss Price had been told about the new boy was that he'd spent most of his life in some kind of orphanage, and that the gray-haired "aunt and uncle" with whom he now lived were really foster parents, paid by the Welfare Department of the city of New York." Miss Price accepts this vague background and takes up Vincent Sabella's classroom assimilation as something of a personal mission. She has her work cut out for her as Vincent arrives wearing "absurdly new corduroys, absurdly old sneakers and a yellow sweatshirt, much too small, with the shredded remains of a Mickey Mouse design stamped on it's chest." His tangled black hair, gray skin, and teeth tinged green at the roots don't help matters. On the first day, Vincent is fascinated by the Monday morning activity known as "reports". The 4th graders are invited to share weekend activities as they transition back to the routine of the school week. Stories of drives in the country, new cars, seeing Doctor Jeckyll and Mr. Hyde at the movie theater, and spending time with friends seem to be the norm. As you might imagine, Vincent is not warmly welcomed by his classmates. He stays at school while other children go home for lunch and always stands apart on the playground. Miss Price, sensing Vincent's need, lavishes extra praise and attention on him, but "by the end of the week he was well on the way to becoming the the worst possible kind of teacher's pet, a victim of the teacher's pity." The following Monday when Vincent shares a report, it begins "Saturday I seen that pitcha...Doctor Jack-o'-Lantern and Mr. Hide." "And then on Sunday my mudda and fodda come out to see me in this car they got. This Buick. My fodda siz, 'Vinny, wanna go for a little ride?' I siz, 'Sure, where yiz going?'..." His tall tale culminates with a cop chase and gunfire. Of course, none of this helps his social standing or ability to fit in. Children taunt Vincent by calling him Doctor Jack-o'-Lantern, and he responds with an action that has the teacher wondering if perhaps she should not have taken up his cause. The story ends with Vincent staging a final, even grander, act of vandalism. I loved the raw emotion in this story! Miss Price's desire to help and nurture is as strong as Vincent's desire to fit in. Both are left frustrated and disappointed. I cannot wait to read more of the collection. Welcome to week 8 of the Wuthering Heights Wednesday read-along hosted by Jill of Fizzy Thoughts. This week we're covering chapters 22 - 24, or Volume II chapters 8 - 10. This is a very brief post... no time for the summary and quotes. 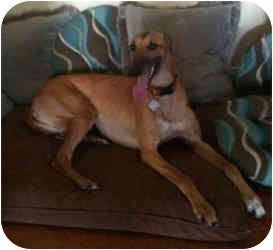 Our retired greyhound, Zelda, arrives today and there are still some preparations to be made. So, Cathy is up to her old scheming tricks again. She's really something - reminds me more of her mother each week. Linton is ill (possibly dying) and totally insufferable. He bothers me even more than Heathcliff! What on earth does Cathy see in him? Good morning! As you read this, I'm on my way to New York City... again. I wish I could report that it's to attend BEA and the Book Blogger Convention, but we're actually moving my daughter into an NYU dorm and then heading straight home. She has an internship at ESPN and is also taking a class at NYU. On our last trip, we discovered that her dorm is literally two blocks from the Strand Bookstore, and Shakespeare & Co. Booksellers is a few block in the opposite direction! She's thrilled, and I'm just a little envious. When you're taking a break from BEA and browsing the bookstores, if you happen to notice a tall redhead with her nose in something Austen-related, chances are it's Daughter #1! I did manage to finish one book this week, Molly Fox's Birthday by Deirdre Madden, but am having a hard time gathering my thoughts for a review. For now, I'll just tell you I loved it and hope to be able to expand on that later in the week. My next priority is The Forgotten Garden by Kate Morton - our June book club selection. The audio has been on my ipod for the past two months, but I haven't managed to listen to it. For some reason, I haven't been listening to anything at all! My sister loaned me her copy, so maybe a combination read/listen will begin this week. There are four more installments of the Wuthering Heights Wednesday read-along hosted by Jill of Fizzy Thoughts. 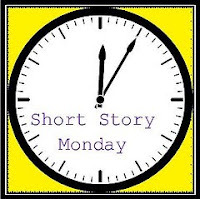 The serial reading of Wuthering Heights seems to have fallen into my short story space, so Short Story Monday participation has been spotty at best the last month or so. On the home front, end-of-the-year activities begin in earnest this week with the first round of concerts and awards assemblies. Twin A's school year ends June 4, but Twin B won't finish her Regents Exams until June 18. Let's just say she's not happy at the prospect of going to school for an "extra" two weeks! We're also expecting more news about our retired greyhound, Zelda. She arrived on Saturday and we're anxious to hear how she weathered the long trip and how she's settling in with her foster family. If all goes as planned, we'll bring her home in another week or so. There will be no reading for me today, but I hope you can spend some time with your current book. 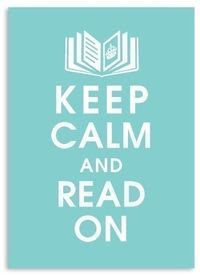 Enjoy your Sunday, and safe travels to all attending BEA! The GUR (pronounced "grrrr" and standing for Greyhound Underground Railroad) pulled out of the Orlando, Florida station Thursday evening. On board is the dog that will eventually become our new pet. An amazing string of volunteers, each driving anywhere from 3 to 10 hours, has arranged a complicated series of meetings and hand-offs that will land the dogs in central New York sometime Saturday. Another week or two of 'foster care' will follow before they are united with their new families... hopefully by the end of the month. This is Zelda (known as Superior Zelda at the track), the dog that has been selected for our family. She is almost 4 years old, weighs 59 pounds, and has raced 99 times, most recently on May 8. For the last couple of weeks, she's been in a Florida foster home learning about life as a family pet. Our plan was to keep the dog's track name, unless it happened to be something totally unacceptable (like Frogg Togg, as one of them is called). I think Zelda will be just fine... it makes me want to reread FSF's Tender is the Night! We're very excited. Edgar returns to Thrushcross Grange with the pale, sickly Linton. Joseph appears almost immediately to collect the boy, but Edgar sends him away. Mrs. Dean deliver Linton to Wuthering Heights the following day. Cathy and Ellen, out for a walk, happen upon Heathcliff, who convinces them to visit Wuthering Heights. Cathy is shocked to find Linton, now nearly 16 and very tall, at home there. Cathy becomes aware of all the familial relationships, as well as the nature of the quarrel between Edgar and Heathcliff. Heathcliff plans for Cathy and Linton to fall in love and marry (such a union would position him to inherit everything if/when poor Linton kicks the bucket). Although forbidden to communicate, Cathy and Linton carry on a clandestine correspondence, only to have it discovered and halted by the ever-vigilant Mrs. Dean. Cathy lets it slip that she loves Linton. Linton is such a wimp! I doubt he's going to last long - probably just long enough for Papa Heathcliff to secure the inheritance. Cathy seems to be developing a mean streak (or has it really been there all along?) She's still nothing like Mommy Dearest, but how about that slap at Nellie and derision of Hareton? Heathcliff's feeling toward Linton and Hareton make for interesting reading! His fiendish plans seem to be moving forward. Persephone Reading Week may be over, but the acquisition continues. Last Friday, I stopped in Barnes & Noble to pick up a couple of review books for Twin B. From time to time they have classics editions in stock and, since it was Persephone Week, I just had to check. After Claire's mention of Team Whipple vs. Team Laski, my hope was to find Laski's Little Boy Lost, but no luck there. Although I'm firmly affiliated with Team Whipple, Laski remains an unknown - and that needs to be remedied soon! This weekend, the plan is to finish Molly Fox's Birthday by Deirdre Madden and make a dent in The Forgotten Garden by Kate Morton (for my book group), but after that it should be time for another Persephone! Catherine gives birth to a baby girl (also named Catherine) and then dies. Heathcliff , overcome with grief, invokes Cathy's ghost to haunt him. Hindley attempts to enlist Isabella's help in killing Heathcliff; she won't agree to violence, but a scene ensues (complete with knife-throwing) that leaves Hindley close to death. Isabella seizes the opportunity to escape, runs to Thrushcross Grange, collects a few things, and leaves - forever. Isabella goes to London, bears a son, names him Linton (to ensure Heathcliff's hatred), and begins a correspondence with Edgar. Edgar becomes a hermit, living a life of seclusion at Thrushcross Grange. Due to Hindley's debt, Hareton is left a servant to Heathcliff, who holds the mortgage to Wuthering Heights - the guest has become the master. Young Cathy, not allowed to leave the grounds of Thrushcross Grange, grows to be a joy (unlike her mother), but does have a "propensity to be saucy". Edgar, summoned to Isabella's deathbed, leaves Thrushcross Grange. Taking advantage of Daddy's absence, Cathy leaves the grounds, ends up at Wuthering Heights, believes Hareton to be a servant, and is appalled/upset to learn he is her cousin. Mrs. Dean is furious with Cathy, but the two agree not to tell Edgar of her adventure. My goodness, these people are bent on revenge! Cathy, Hindley, Isabella... all dead in three short chapters. Will Edgar continue to hang on? No wonder some editions have divided the book into two volumes. It certainly feels like we're moving on. A new cast of characters is moving to the forefront - young Cathy, Hareton, maybe young Linton. Will Heathcliff wreak havoc in the lives of this new generation, too? Will (old) Cathy's ghost begin to haunt him? "It's a hot day and I hate my wife." My last Short Story Monday post was nearly a month ago and, though I've missed them, it was shaping up to be another story-less Monday. 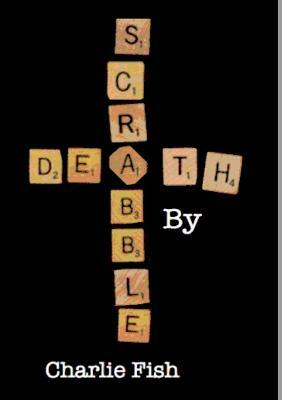 Then I clicked over to John's and saw "Death by Scrabble". John described it as darkly funny and says it become the latest "hot story" among our little group. Well, I have a soft spot for scrabble, dark humor, and, on a really hot day, I hate just about everybody! "Death by Scrabble" was a lot of fun. You'll never look at a simple game of scrabble in quite the same way. Go ahead, jump on the bandwagon. The story is very short - read it here. My growing curiosity about children's experiences during WWII has been behind a couple of recent reading choices. Persephone Reading Week provided the perfect opportunity for one more - Doreen by Barbara Noble. Operation Pied Piper was a program the British government enacted in 1939 to evacuate children from London to the safety of the countryside. Nine-year old Doreen Rawlings' mother, a proud, intelligent yet poorly educated cleaning woman, opted to keep her child in London during what came to be known as the 'Phoney War'. However, when the Blitz began in 1940, Mrs Rawlings was forced to reconsider and Doreen was sent off to the well-to-do Osbornes. In some cases hosts were compelled by billeting officers to take in verminous, badly behaved children from inner city slums who had never seen plumbing, cutlery or a change of clothes. The genteel middle classes were appalled to encounter a hitherto unimagined underclass - 'one half of England does not know how the other half lives' wrote Vera Brittain. Doreen's case does not approach this extreme, but Barbara Noble uses it to take a frank look at the wide gulf between social classes. Her writing shows great compassion toward all sides - the Osbornes who treat Doreen as the child they never had, Mrs. Rawlings who is afraid Doreen will get 'ideas above her station in life', and especially nine-year old Doreen who is torn between two very different lifestyles. While the Osbornes believe Doreen has settled in to the point of taking her new environment for granted, she remained acutely aware of the differences. Doreen is honest and real. It is heartbreaking, yet sympathetic to all involved in a program that wreaked havoc in countless lives. Doreen will remain on my mind for quite some time, and I fully expect it to appear on my list of favorites at the end of the year. Special thanks to Claire and Verity for hosting a wildly successful week. I'm already looking ahead to Persephone Reading Week #3! 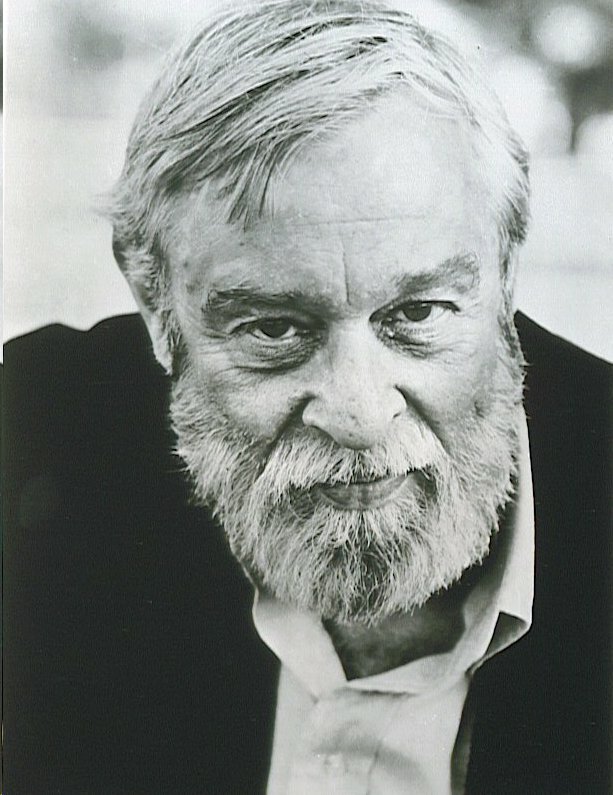 Prize-winning books get my attention, especially if the prize is the Pulitzer. 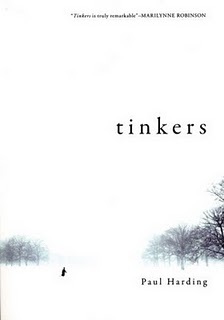 When Tinkers by Paul Harding won last month, you could almost hear the collective "Huh?" ripple through the book blogging community. For the record, my money was on Let The Great World Spin by Colum McCann. Shortly after the announcement, I clicked over to my library website and was not surprised to find they didn't own a copy. Inter-library loan came to the rescue (there was just one in the entire system) and, less than a week later, Tinkers was in my hands. Tinkers is a small, slim book (only 191 pages) about a dying man's last days. While lying on a hospital bed in his living room, tended by various family members, George Washington Crosby's mind journeys back to his childhood in New England. After 70 pages, I was enjoying the writing, but not fully engaged with the characters or the story. Others have praised the book, but I was not in the mood to appreciate the quiet style. Perhaps my new stack of books was distracting me. In any event, this seems to be a classic case of "right book, wrong time". ...Sandy from You've GOTTA read this! I’ll email you for your address so the publisher can get the book mailed out to you soon. Congratulations! It's week 5 of our Wuthering Heights Wednesday read-along hosted by Jill at Fizzy Thoughts and, according to my calculations, we're just about half way through. I'm really enjoying this read-along experience and believe it's adding a lot to my overall enjoyment of the novel. The bullet points worked well last week. They helped me sum up the main plot points and organize my thoughts... think I'll use them the rest of the book. Last week, we left off with Isabella running off with Heathcliff, and Catherine on the verge of death (or so we thought!). Catherine's life is no longer in danger, but she will suffer "permanent alienation of intellect". Mrs. Dean receives a letter from Isabella detailing her disillusionment with Heathcliff (did I mention the part about him 'hanging up' her little dog? ), the horrible state of affairs at Wuthering Heights, and begging for a visit the following day. Heathcliff is plotting his revenge on Edgar through Isabella. Heathcliff manages to extract a promise from Nelly (who believes him mad) to arrange a visit with Catherine. Heathclif and Catherine have an emotion-filled (understatement!) reunion. Edgar enters the room and is enraged to find Heathcliff. Heathcliff urges Edgar to tend to Catherine first, which he does; Heathcliff slips away into the garden. H: "Oh, Cathy! Oh, my life! how can I bear it?" C: "You and Edgar have broken my heart, Heathcliff! ...You have killed me - and thriven on it, I think. How strong you are! How many years do you mean to live after I am gone? ... I wish I could hold you 'till we were both dead! I shouldn't care what you suffered. I care nothing for your sufferings. Why shouldn't you suffer? I do! ..."
Can I say once again how messed up these people are? Heathcliff's cruelty is utterly amazing. Can readers really find him attractive or romantic? Chapter 15, or Catherine and Heathcliff's scene, was positively spell-binding! But, can this be what makes this book a legendary romance in some readers eyes? 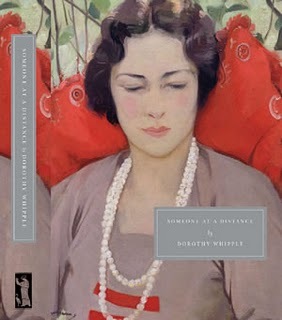 Dorothy Whipple is arguably one of Persephone's most popular authors. Six titles are currently available but, if Thomas had his way (see his wonderful letter), many more would be reissued. It only took Someone at a Distance to make a fan of me. In the spirit of Teaser Tuesdays, I've decided to post a few of my favorite passages. At the end of the week, I will be placing a Persephone order (Sunday is Mother's Day here in the US). You can be certain another Dorothy Whipple title will be included. Now if I could only decide which one... Are you a member of "Team Whipple"? Persephone Reading Week is finally here! Our hosts for the week of " dove-grey covers and striking end-papers" are Verity of The B Files and Claire of Paperback Reader. Verity and Claire will run a series of posts high-lighting Persephone Books, collect review posts from participants, and also sponsor a giveaway or two. This is actually the second Persephone Reading Week. We were away on vacation for last August's edition (though I still managed to read most of Someone at a Distance by Dorothy Whipple), so I'm very excited to be participating this time around. What will I be reading? In 1946 the theme of Doreen was, alas, horrifyingly topical - whether parents should have sent their children away from cities that might be bombed; and if they had done so, whether they could hope to maintain their relationship with them. 'The experience of this long separation, very difficult for all concerned at the time, often proved traumatic over a lifetime' comments Jessica Mann. 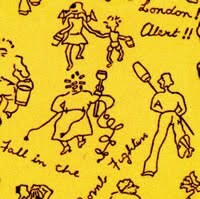 The endpaper is taken from a 1940 silk scarf 'London Alert' designed by Arnold Lever for Jacqmar (it is owned by a Persephone reader). Are you in? What are you reading? Good morning and Happy May! April was not an especially productive reading month here by the lake. In fact, it was the least productive since I began blogging, but it was a month that taught a few valuable lessons. My first read-along (Wuthering Heights Wednesdays). I am a social reader. This read-along thing is a lot of fun! Sure, I could blast through Wuthering Heights in a week, write a review, carry on a conversation in the comments, and be perfectly happy. But, it's really fun to read three chapters a week and see all the posts appear on Wednesdays. We may focus on different plot points, have varying impressions or questions, or make some interesting (and often funny) comparisons. Jerry Springer was mentioned several times last week! Thinking back to January, Woolf in Winter served the same purpose. The group read four Woolf novels and posted on one every other Friday. Although I only read Mrs. Dalloway, it was an amazing experience to read (and comment on) all the other posts that day! It certainly enhanced both my understanding and enjoyment. In the past, challenges have filled this 'social' need, but that came primarily through sign-up and wrap-up posts. The read-alongs are much more fun - for me anyway. That said, I will be ending my 'no challenges in 2010' resolution soon. 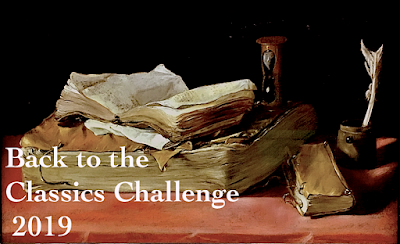 Bellezza tells me the Japanese Literature 4 Challenge will begin in June rather than July, and I have four books all ready to go. Other events, such as Claire's Angela Carter Month and Rachel reading her way through Richard Yates novels, have also been very memorable... and social. Persephone Reading Week, hosted by Verity and Claire, starts tomorrow! I still regret being away on vacation for last August's edition. Doreen by Barbara Noble will be my Persephone of choice for the week. Are you participating? I don't like deadlines. I've never really posted with a deadline in mind. Blogging has been all about fun. This month there were six. The four for Wuthering Heights Wednesday weren't bad... I'm sure people would have 'talked to me' even if I posted on Thursday. 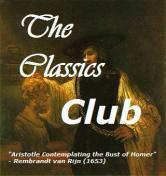 Posting for The Classics Circuit and TLC Book Tours added pressure to have a review done on schedule. I don't write a review immediately upon finishing a book. It sort of percolates until 'inspiration' strikes.... and I haven't found a way to speed that process up! I should mention that I loved The Classics Circuit tour last month! With participants reading many different books by the same author, the scope of discussion was very broad and interesting. Maybe reading the books further ahead of time and setting an earlier deadline for myself would help. I'm uncomfortable with giveaways, and don't like gimmicks or limitations. I'm hosting one now in conjunction with the South Of Broad tour, but (at the publisher's request) it is open only to residents of the US and Canada. I apologize to my international readers. There you have it - the April lessons. Now what will I do with this new self knowledge? More read-alongs, skip the giveaways, and, given my slow reading speed, carefully consider commitments with a deadline.